Well it was bound to happen especially since he is my son. If you have followed this blog at all then you know that I occasionally have to take a visit to the doctor because I have this horrible habit of getting hurt. Why can't I have a habit of picking winning lottery tickets? Just this year I had an encounter with a bee and a softball that led to an undesired rendezvous with a qualified practitioner of medicine twice. So I was surprised and thankful that we had not had to take Kyle in a lot sooner for an unscheduled visit to the doctor. Our luck run out last Sunday as I was walking the husky hound and got the phone call. Mrs. Shife suggested that I return home in a prompt manner because Kyle had an accident at the playground. 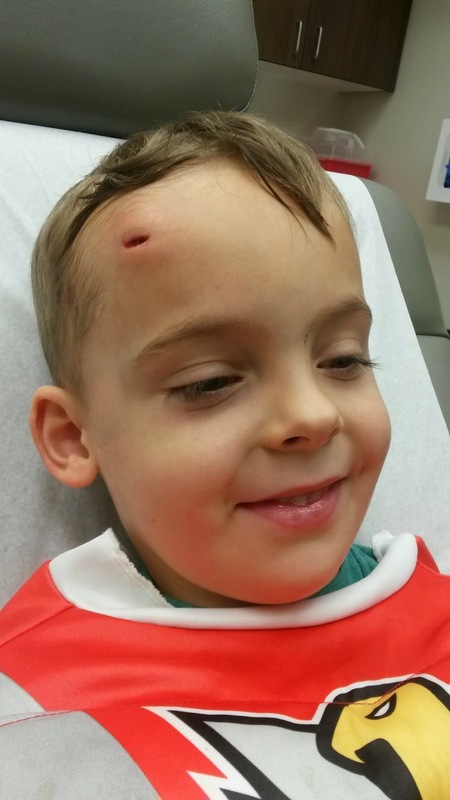 He ran into some metal playground equipment with his head, and guess who won that battle. If you said playground equipment, you are a big winner. He went off to the doc in the box and returned home about 2 hours after, as Kyle put it, "they glued my head back together." No stitches but lots of glue for the Red Power Ranger. Oh did I forget to mention that he was wearing this costume when he got hurt and kept it on when he saw the physician. He did have it with him but took it off right before the accident. I don't know if it would have prevented the injury but it might have helped. Anyway the doctor got a nice kick putting the Red Power Ranger back together and Kyle was a brave boy through the whole process. Below are the before and after pictures of my little man and he's doing fine 5 days later. He's starting to get a little ripe since he hasn't been able to take a bath since Sunday but that's alright. Aw, poor little thing. 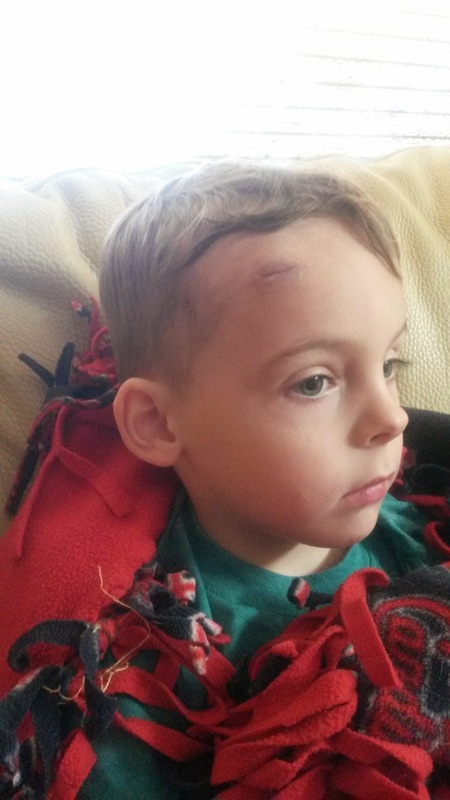 My younger brother had so many dings in his head which always required stitches. Then he would pass out from the sight of the blood. Sure glad he outgrew that phase. There it is, gone. The wound looks quite deep so the doctor did a good job. Poor little soldier but just think of the tales Kyle will weave about the injury. In case I don't get here before let me wish you and the family a wonderful Christmas. Wow. Hooray for glue. 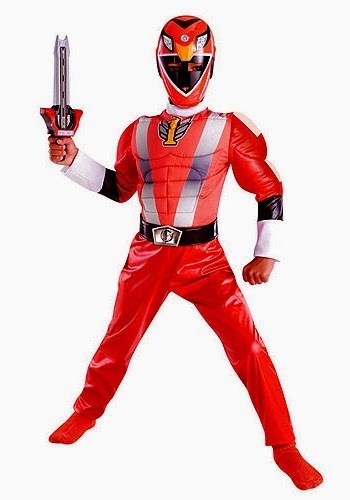 And the fortitude of the red Power Ranger. Poor little Kyle! He's a tough kid. Get back on those monkey bars, little homie! "I got this one back in 2014, I was a Power Ranger back then..."